Explore the world's most stylish and eclectic residences in this inspired armchair décor guide. Home Style by City captures the essense of five design-forward cities, featuring gorgeously decorated homes from each that reflect local style and inspire internationally. Part city tour—including must-visit flea markets, bits of colorful history, and curated lists of music, books, and films—and part design resource for achieving the various looks, this refreshing perspective on décor shows how cities themselves impact interiors. Illuminating text invites readers into page after page of lavishly photographed interiors, offering deceptively simple transitions and insider tips to bring the look into any space. 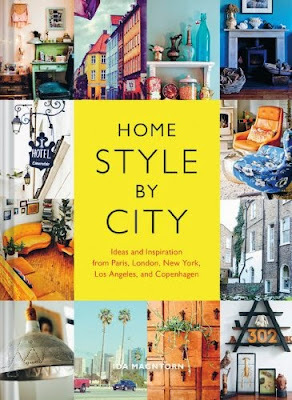 Visually rich and totally inspiring, Home Style by City is a treasure for lovers of design, travel, and, of course, big city dreams.